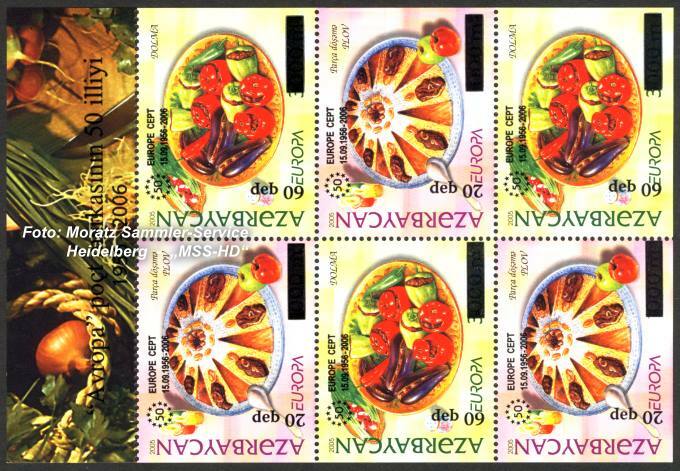 28th September 2006: 2 complete sheetlets out of booklets with overprint, MNH. From parted booklet "Europe CEPT Community Edition 2005, Gastronomy" (610-611). Overprint "50 years of CEPT" and new currency, sheetlet #1 numbered. Michel No. 661-662 A (2 x) + 661-662 D (2 x) + 661-662 E.
Total number of copies: 10,000. 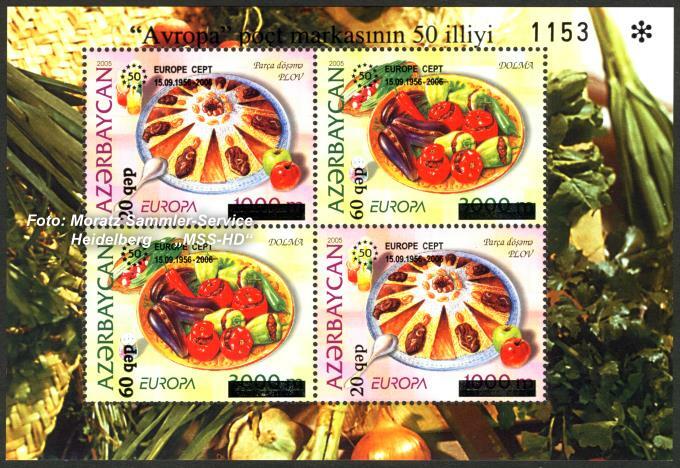 Themes of the postage stamps: "Pilaf" and "Dolmas".